Mechanical ventilation (MV) causes high level of stress in hospitalized patients. Weaning is the gradual process of decreasing ventilator support that in turn lead to termination of MV and increased respiratory effort, which may exacerbate symptoms and prolong MV. 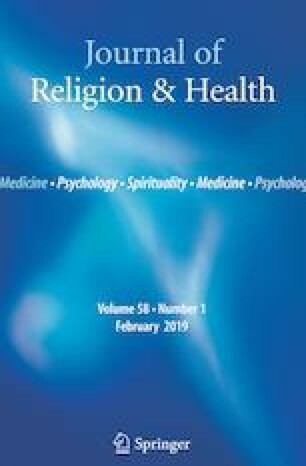 This study aimed to investigate the effect of listening to Holy Quran recitation (HQR) as a non-pharmacological intervention in patients during weaning from mechanical ventilation. This is a randomized controlled trial in which 55 patients admitted in the intensive care unit (ICU) and on mechanical ventilation were recruited. Patients were divided into experimental (case) and control group. In the experimental group, patients received 30 min of HQR, whereas in the control group, patients had 30 min of rest in bed before the start of the weaning. The physiological and/or clinical parameters of weaning were recorded. These parameters include rapid shallow breathing index, respiratory rate, heart rate, oxygen saturation, exhaled carbon dioxide, and blood pressure. The baseline demographic data for groups were presented in tables. The mean age was 54 ± 0.5 years for the experimental and 56.4 ± 18.5 years for the control groups. The physiological and clinical parameters were compared between case and control and found no significant difference. The preliminary findings of this pilot study suggest that there is no negative effect of HQR on weaning patients from mechanical ventilation in the ICU. The results also outline and explorthe possible utility of HQR further in ICU patients as an intervention in weaning patients off from ventilator in the ICU. Although there remains much to be done, our work generates important findings in the field of critical care management. The content is solely the responsibility of the authors and does not necessarily represent the official views of the Deanship of Scientific Research at the University of Dammam. The research group would like to thank Professor Sulaiman Bah for reviewing the statistical analysis. The research team is also in debt to the ICU and respiratory care department’s staff in KFHU for their cooperation and active and positive interventions during the study. The study is funded by Deanship of Scientific Research, University of Dammam, KSA. MY and KA developed and supervised the project. MY, OO, NO, HQ, and HO helped in data collection for this study. FF supervised the statistical part of this study. All authors prepared the initial draft of the manuscript. NK and KA conceived the project and supervised the study. All the authors read and approved the final manuscript. This manuscript complies with the current laws of the KSA.